Joe Little has worked like a dog cutting timber since his mid teens. As a 27-year-old , he’s ready for a change, so the Confederate attack on Fort Sumter lures him to enlist in the Union Army. He leaves behind his fiancée, his employer’s daughter. He quickly learns it’s the infantryman’s lot to suffer and, perhaps, to die. Thanks to his comrades’ warnings, he also slowly learns Rebels aren’t the only people trying to kill him. 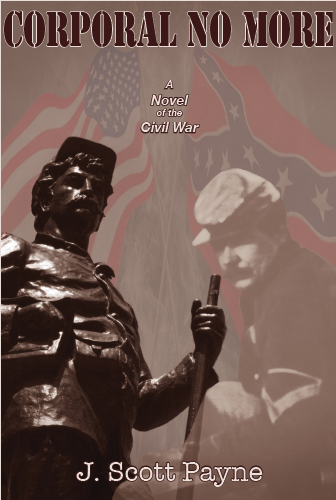 He is wounded in a savage battle and nearly dies in a Confederate prison. He is exchanged and discharged and returns home to recover. The war has changed him, however. He severs his ties with his girl and returns to his sadly shrunken regiment for the fateful battle of Gettysburg.